Collection is a special object type. You do not upload data, you generate it on the web. It is a collection of other objects presented with a description, contact information etc.. The collection object generates internally two files which can be downloaded. A folder is the base for a collection. 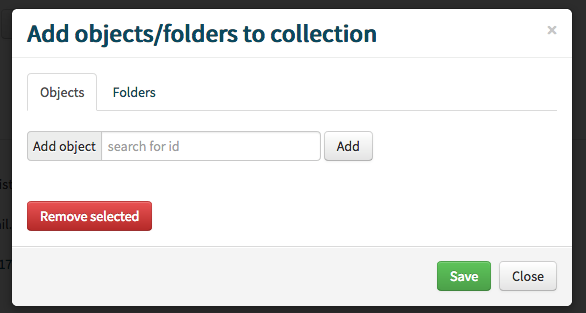 Navigate to the desired folder and select Create collection from the Action menue of the folder. The all contained objects are included in the collection automatically. The description is prefilled with template text and is intended as a starting point. You can edit the content to you likings. Markdown Editor Typora. Cross-platform, Syntax and live preview,and wide range of export options. Use the Publish button to publish the collection. 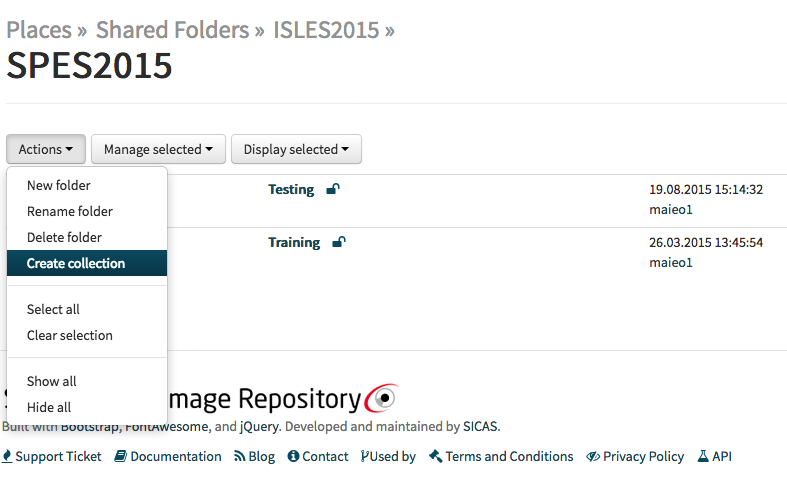 You can generate DOI for a single or multiple included objects. You do only download the collection object, not the contained data objects. 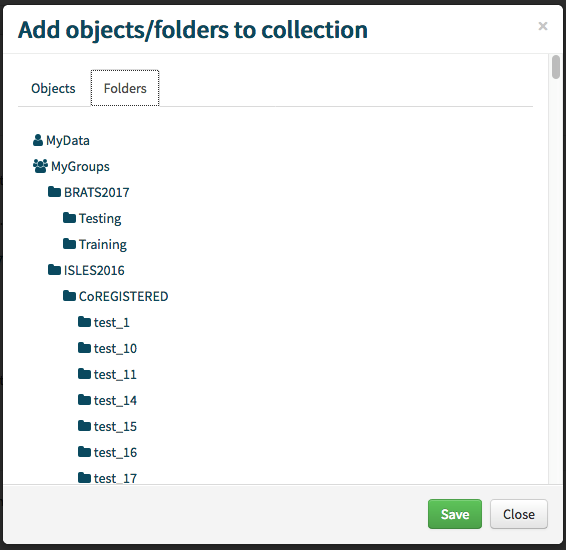 You can download individual, multiple object or all objects from the list.